The work of a change agent often happens behind the scenes: developing programs and tools, coordinating other people’s activities, having conversations to get and keep people on board. To best use their leadership, we encourage executives and managers to become the face of change. In the name of engagement, we invite the people affected by change to participate and give them the recognition for making progress. The result of giving everyone else the credit is that you can become the unsung hero of change – and the invisible change agent. While this approach may work best for the change itself, being invisible can have a negative impact on your career. You might be missing opportunities for advancement or for more challenging projects in the future. If others don’t recognize you as the one orchestrating success, they won’t think of you when another opportunity comes up. Furthermore, without evidence that you are personally impacting the change, the powers that be may come to believe you are dispensable when the need for cutting back arises. If you find yourself feeling invisible, first recognize how you got there. Some change agents are content to let others take the credit for success. They consider it the mark of humility to forgo recognition. Others prefer to stay out of the spotlight because they are uncomfortable with attention. Ironically, for others invisibility might be a self-preservation tactic, a way to escape responsibility if things don’t go well. Or, it may be delegated ownership of the initiative taken to the extreme. Whatever the reason, you put your career as a change agent at risk if you are not seen as capable and delivering results. The following are some ways you can increase your visibility. Set expectations. 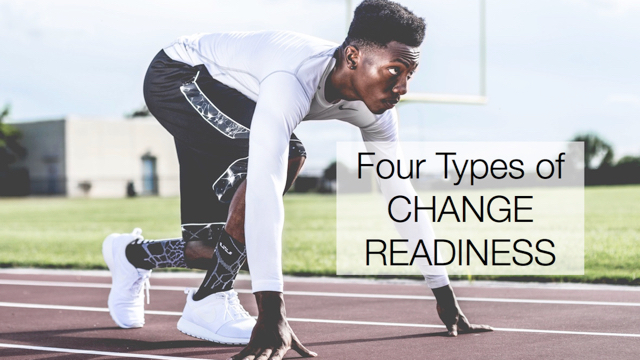 Define your unique role as a change agent, and explain how it differs from and relates to leaders and the rest of the people going through the change. Make it clear that letting leaders be in charge and recognizing others for success is a deliberate part of the change plan. Toot your own horn. First, make sure the project’s successes are visible, no matter how small. Keep track of the incremental progress you have facilitated and make sure the right people know you had a part in it. Ask for and take on more opportunities to be a visible face of the change initiative. Write articles with bylines for corporate communications. Present at meetings. Speak up to show your expertise and involvement. Claim your ideas, your decisions, and your responsibilities. Brand yourself. Systematize your approach so when people see the tools and use the terminology, they know you have been involved. Throw open the curtain to show more of what you are doing behind the scenes. Link the project’s success to your methodology. Make it clear that progress is not a matter of luck or magic. To have a career as a change agent, you must be known as someone who can make things happen. Although much of your work may be behind the scenes, take action to secure your image as knowledgeable, capable and influential. Avoid becoming an invisible change agent. 1. Be careful of going native. In your quest to be recognized, and approved of, you may just develop the same patterns and habits that caused the need for the change in the first place. 2. Don’t let the leadership of the change be given to you (or dropped in your lap). Is your career that of a change practitioner or an internal leader? It is very easy, especially for external senior consultants, for the ownership of the change to become ours. 3. Taking on opportunities sounds like an internal tip. As an external that will mire you in minutiae, taking away precious time needed for the REAL change management. Great points! I appreciate your insights. When I use the term “change agent,” I’m referring exclusively to internal practitioners. I distinguish their role as different from an external consultant or even a direct leader of change.